Carlingford Lough is a glacial fjord or sea inlet on the East Coast. It lies sandwiched between the Mourne Mountains to the North and the Cooley mountains in the South and is linked in the west through the Clanrye River and Newry canal into south Armagh and beyond. Both the Mournes and Slieve Gullion in south Armagh are designated areas of Outstanding Natural Beauty. This blog has spent a lot of time over the years in the Cooley’s walking the roads and lanes and hills. The people too are tremendous. Friendly and helpful, proud and independent. I am very gratified to represent the Cooley’s which are part of the Louth constituency. Carlingford Lough gets its name from the Vikings. It is a tourist’s dream bursting with geological wonders and historical sites from the Neolithic times. In the mid 9th century two Viking fleets fought a two day battle against each other with the Danish Vikings beating the Norwegian Vikings and then plundering nearby Monasteries. Newry is, according to folklore built on the site where St. Patrick planted a yew tree. It has existed since the 12th century. The Cooley’s are linked to the legend of Setanta who left home at the age of 10 to travel to Eamhain Macha (near Armagh) to join the Red Branch Knights of Ulster. As he made his way across the Cooley mountains he would strike his sliothar (ball)with his caman (hurley stick)and then chase after it catching it before it hit the ground. The Poc Fada is now an annual game of stamina and skill played across the Cooley’s. Eventually Cú Chulainn reached Eamhain Macha. He slayed the hound of Cullan, the Kings blacksmith, and earned himself the name by which he is best remembered - Cú Chulainn – the Hound of Cullan. He is one of the central figures in the Táin Bó Cúailnge: The Cattle Raid of Cooley in which Queen Meabh of Connacht invades Ulster to steal the Brown Bull and is opposed by Cú Chulainn. This is an epic tale of a war in which the teenage Ulster hero Cú Chulainn saves the day by challenging Meabh’s champions to a succession of single combats. He does this to give the heroes of Ulster time to awaken from a curse. Meabh’s Gap in the Cooley’s marks one famous battle site. 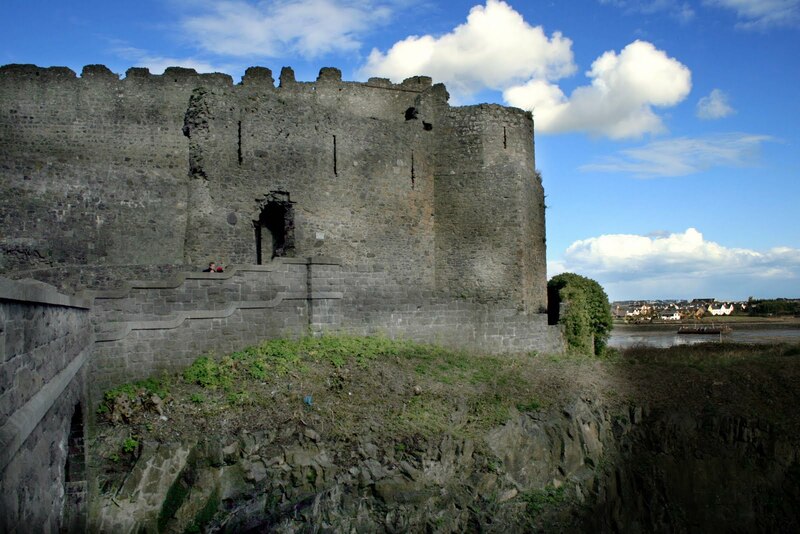 There are numerous other sites of historical interest, including King John’s Castle in Carlingford, scattered around Carlingford lough. Narrow Water Castle on the northern shore of the lough is one of the finest. It is one of the best examples of a tower house in Ireland. 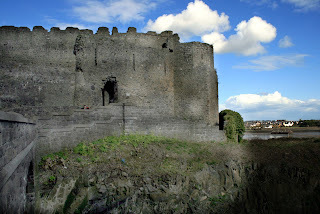 While there has been a keep here since the 13th century the current tower was built in the mid 16th century to defend Newry from attack by sea. Partition brought its own difficulties for the region drawing a border through the Lough and between Counties Down and Armagh on one side and Louth and Monaghan on the other. The economic impact on the region was profound. Newry and Dundalk on either side of the border were cut off from their natural economic hinterlands and suffered grievously as a result. In an effort to reverse this and enhance the tourist and economic infrastructure of the region it was proposed some years ago that a bridge should be constructed across the lough at Narrow Water where the distance between the South Down and Louth sides is very short. Sinn Féin has been to the fore in campaigning for the bridge and a significant amount of planning, including an economic appraisal and Environmental Impact Assessment, has already taken place. However back in July the Narrow Water Bridge project received a body blow and the local community was deeply disappointed, when the news broke that the Fine Gael and Labour Government was withdrawing funding for the cross border road project. But that wasn’t the end of the story. Since the summer Newry and Mourne District Council and Louth County Council have submitted a proposal to the Special EU Programmes Body (SEPUB) of the INTERREG programme. INTERREG has over €20 million available which must be spent by 2015. In recent days my office has also discussed the possibility of this EU funding being made available for the construction of the bridge. There have also been a range of other meetings involving Caitriona Ruane MLA in South Down, Conor Murphy MP in Newry and Armagh, and party representatives, like Councillor Jim Loughran in the Cooley area and Councillor Tomas Sharkey, who have been active on this for some time. This blog has also asked for an early meeting with Leo Varadkar the Minister for Transport in the Irish government. It was his decision in July which pulled the plug at that time on the Narrow Water Bridge project. The possible involvement of INTERREG means that the possibility exists for this cross border project to go ahead and to be cost neutral for Irish taxpayers, as INTERREG would cover all costs. There is a limited three year period for the bridge to be taken from the planning stage to the completion stage. So a lot of work has to be done in a relatively short time. The reality is that at a time of economic crisis and recession the Narrow Water Bridge project can create jobs and bring financial investment and economic growth to this region. If properly developed it would allow for the fullest economic exploitation of the historic, cultural and natural beauty of the Louth/South Down/and South Armagh areas. All pics taken by Paula. The landscape shots were photographed from Flagstaff Point. Ha Gerry, The Cattle-Raid of Cooley (Táin Bó Cúailnge)and the great Irish hero, Cuchulain of Ulster, and his battle against the forces of Queen Medb of Connaught. There is more than one famous bull in Ireland. Great tells, and outstanding natural beauty are but part of the same. I for one thinks like Heinrich Schleimann in finding Troy, in Homer. The Ulster cycle can tell us about more that a story, but a truth, in the roads and hills of Ireland.